According to neuroscientist, Dr. Candace Pert and countless others, our emotions run our physiology. And the quality of our thoughts and life are the effect of the quality of our emotions. The ability to transform and master your emotions is one of the most important keys for success in your business and personal life. Self destructive emotions can be your own worst enemy. They spoil relationships, create distress, create health problems, reduce productivity, stall your career, destroy your family life and tear down your self-esteem. Adapt gracefully to home and workplace changes! Boost your Immune System and enjoy more energy and better health! Transform negativity into a positive, productive force! Be able to relieve stress and tension in minutes! …. So, stay with me so that you get what you need to have the happy life you want. Mastering emotions is perhaps one of the most common challenges facing everyone. Sure, some people think they are managing by ignoring and/or suppressing their feelings. You can either master your emotions and feel hopeful and put the power back in your own hands or let them master you and feel helpless and hopeless. The research and observation has continuously demonstrated that emotional masters have eight traits in common. Take the case of Lexi Lyons from the Chicago area. Now Let’s explore the eight traits; however do realize that each trait requires more time and effort to develop. 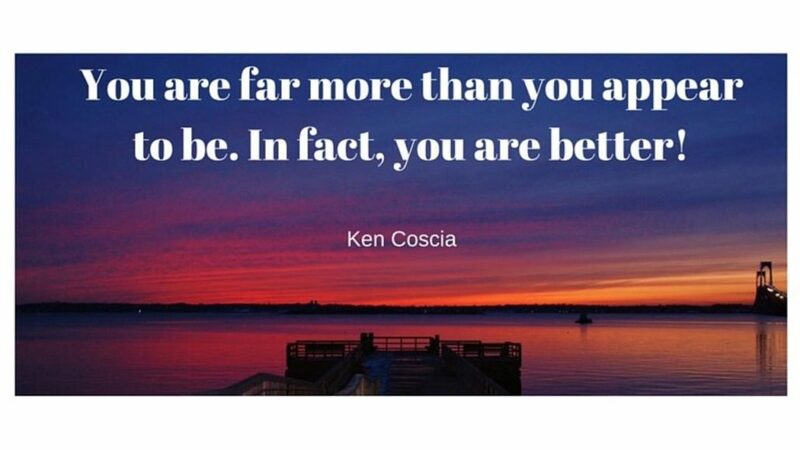 This comes from a full one-day workshop that Ken Coscia developed and presents to organizations and in Silva Method classes. 1. A positive realistic mindset. They are able to observe the positive and negative in all situations, yet FOCUS on the positive. 2. They Believe they are in control and act accordingly. 3. They are experts in MODELING! They associate only with like-minded people who share their values, and support and encourage them. They also understand that we become like the people we spend most of our time with. 4. Emotion Masters are conscious of the BIG PICTURE. They, as a result deepen compassion; and improve communications by recognizing that things are not always what they appear to be. There are different points of view. 5. They have HIGH Self-Esteem, which is a necessary ingredient for stress management, improved health and enhanced productivity. 6. They are Positively Assertive, which is why they manage emotions so well. E.M.s have clearly defined boundaries and as a result they treat themselves and others with respect and dignity. They think Win-Win. 7. They are Perception Shift Pros! They recognize that our perceptions and the interpretation of those perceptions are the catalyst to our emotions, which affects our behaviors. E.M.s are able to skillfully find something of value in every situation. 8. Emotion Masters are Euphemistic Geniuses. They know how to substitute a mildly agreeable (or better) expression for a “realistic” disagreeable expression. They achieve greater self-control through positive self-talk. This is a necessary ingredient for Stress Management, improved health, and enhanced productivity. Our self-esteem has an impact on our emotional state and how we operate through what we think, say and do. 1. Anything you like about you, keep focusing on it. 2. Anything you don’t like, or would like to change, find humor in it. Remember The Law of Attention: We experience and will continue to experience something, as long as we give it attention. So journal on a daily basis anyone and anything that you appreciate. The third strategy is a very powerful practice of giving yourself permission not to be perfect. When we complain and mull over our mistakes, errors in judgment and shortcomings, we create toxic feelings in our body. This creates shame-based emotions that lowers self-esteem and weaken the attractor factor. You can prevent this and mobilize healing emotions by doing this at bedtime while in a meditative state by simply reviewing your day’s activities. First acknowledge and appreciate any triumphs and successes. You will, as a result, sleep better and wake up with more energy and clearer focused thinking. And you will experience continuous self-improvement. •Point #3 – How To Maintain Your Composure & A General Coping Strategy To Respond To Negativity And Anger In Others. You begin by using these 4 Tools – Questions to ask Yourself when you are dealing with people and their idiosyncrasies. 3.Can I live with it? 4.Can I change me to fit and manage the situation? All the research and common sense teaches us that we cannot change others. The fastest, most effective strategy is to ask yourself, if you can live with it? And Can I change me to fit and manage the situation? Imagine you are at work and a co-worker and/or boss is acting “negatively”. Change your perception and assess the situation. Keep in mind that there are several sides to the story. Everyone brings to work and/or home their own concerns that can weigh them down. Look for something positive in the challenge. View the person’s behavior objectively. Remember that things are not always as they appear. Avoid getting personal. Focus on the behavior. You can accomplish this by lowering your voice 2 octaves, speak slowly and focus on the facts and behavior. Only make remarks about the situation and their behaviors. Avoid asking “Why Me” questions. Instead ask positive questions; such as, What can I learn from this? Or What can I do to turn this around? People will begin to notice the positive change in you. Speak from your heart and if they ask how you are doing this, share with them the strategies you are working on. You’ll be pleasantly surprised that many will actually support you and learn from you. It is not always easy; however you can stay motivated and inspired by staying focused on the Big Picture. Why is this important to you? Keep in your mind your Ideal Life Vision. You can mentally rehearse your ideal life through integrating creative visualization into your daily meditation practice. I trust that as you apply these strategies you will experience continuous positive development. I look forward to sharing more with you. I appreciate your interest and this opportunity.